Presented by Colin Campbell, Concept Developer – Educational Environments, Ecophon St-Gobain, Sweden. The importance of good acoustics in classrooms is being increasingly recognised. Studies have shown that teacher and student working environments, associated behaviour and management are related to acoustic quality, especially regarding inclusion. There is also an ongoing pedagogic evolution worldwide; around innovative learning environments involving changes from traditional teacher lead to student centred learning activities, to encourage teacher and student collaboration and engagement. This change; traditional to diversified teaching often leads to high noise levels, which has proven to increase stress and reduction of concentration. We need to provide the acoustic conditions supporting effective teaching and learning requires control of sound levels, speech intelligibility, speech privacy between spaces and control of indoor ambient noise. This presentation by Colin Campbell, from European acoustics company Ecophon, will feature good practice European examples and consider the practicalities of these evolving pedagogic approaches and spaces. He will consider the need for activity based acoustic design in planning open learning landscapes to support sustainable learning outcomes, health and well-being. 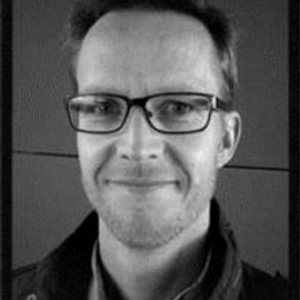 Presenter: Colin Campbell is a concept developer for educational environments, with Ecophon St-Gobain, based in Sweden. He is a partner investigator on the ARC Linkage Project Innovative Learning Environments and Teacher change (ILETC) and is visiting Melbourne to collaborate with this project team.